Radical is derived from the word radis in Latin for the root in the sense of fundamental, original and inherent; whereas radia, radiatio, radiare, from radius is the origin for the words radiation, radiator, radiate, and radio, meaning to emit, shine, gleam, or spread out, meaning therefore to emanate form a source. "Radioactivity was being emitted from certain kinds of atoms." "Ernest Rutherford. . . . became fascinated by the new topic of radioactivity. He discovered that there were three types of radioactivity. " "Rutherford, . . . together with Frederick Soddy, already identified radioactive decay as a natural form of transmutation." Quantum: A Guide for the Perplexed, Jim Al-Khalili (2005), pp.157-160. "Among the many successes of quantum mechanics (term applied to quantum theory after the 1920s), its account of the phenomenon of radioactivity is perhaps the most spectacular." Jim Al-Khalili. Quantum: A Guide for the Perplexed, (2005), pp. 76-77. 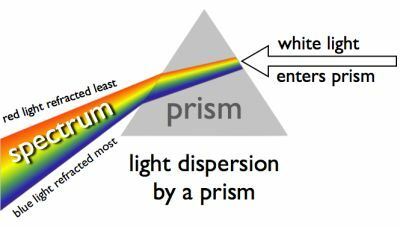 "On the experimental side, there were the unexplained phenomena of the photoelectric effect and black body radiation , and no one understood how to interpret the meaning of the patterns of 'line spectra' in the light given off by certain elements. To add to all this, there was worldwide excitement generated by the newly discovered mysterious phenomena of X-rays (1895) and radioactivity (1896), not to mention the electron (1897). Basically physics was in a glorious mess." Quantum: A Guide for the Perplexed, Jim Al-Khalili (2005), p. 29. 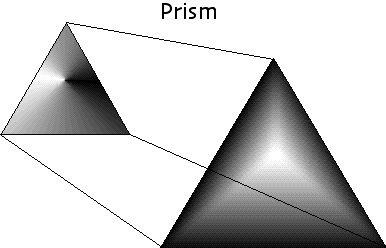 "In the 1920s, however, quantum theory forced them (physicists) to accept the fact that solid material objects of classical physics dissolve at the subatomic level into wavelike patterns of probabilities. These wavelike patterns, moreover, do not represent probabilities of things, but rather probabilities of connections. The subatomic particles have no meaning as isolated entities but can be understood only as interconnections, or correlations among various processes of observation and measurement." "This is how quantum physics shows that we cannot decompose the world into independently existing elementary units." "Molecules and atoms – the structures described by quantum physics – consist of components. However, these components, the subatomic particles, cannot be understood as isolated entities but must be defined through their interrelations." Fritjof Capra, Web of Life. pp.30-31. Radioactivity Frequencies penetrate matter to varying extents. "Alpha radiation is a stream of high-energy alpha particles. 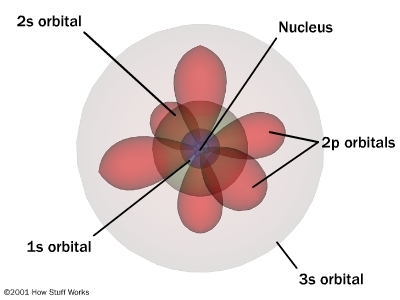 Alpha particles are identical to the nucleus of a helium atom: two protons and two neutrons bound together. We say . . . . Out of the decay of many such atoms, rays of alpha particles stream through space as alpha radiation." Christopher Potter. You Are Here: A Portable History of the Universe. p. 139. "The weak nuclear force, . . . is confined inside the nucleus of the atom. It is the force that is required to explain beta decay, the other type of radioactive decay discovered by accident by Becquerel in the 1890s. In quantum field theory particles inside the nucleus change from one sort of particle into other sorts of particles – they are said to change flavor – and emit energy as radiation. This is what we mean by radioactive decay." Christopher Potter. You Are Here: A Portable History of the Universe. pp. 139-140. The Electro-weak and strong nuclear forces – two of the three fundamental universal forces that give rise to energy – are very different from gravity. Gravitational force accounts for a body in motion remaining in motion. Nuclear forces are much more powerful than the energy of gravitational forces. Click on these two drawings below for links to definitions of these forces. The power of the strong force is confined to angstrom units. The power of the Weak force is measured in radiation from radioactive decay. The power of the Strong force is seen in fusion. We call this emission of nuclear energy, radiation. Photons are examples of this radiation. Two ways of representing a photon emission. Cartoon of H atom & a Feynman diagram of the same emission. 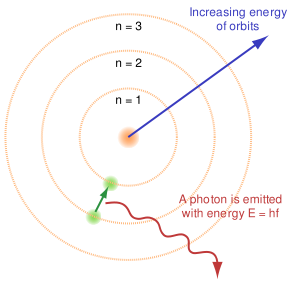 Hydrogen atom: the proton (+) and the electron (-) exchange a photon, the frequency of which we can read as the hydrogen atoms' spectrum. What is light? How is it radiation? "Our understanding of the large-scale world deepened because we became more sensitive to light: we constructed better telescopes and so extended the reach of our eyes and constructed better theories and so extended the reach of our brains." "Clearly light is fundamental to our description of the material world. . . . If a unified description of nature is to be made, somehow we have to understand how the invisible world of light becomes the visible world of matter." Dutch natural philosopher, Christian Huygens, disputed Newton's ideas that light consisted of corpuscles or particles. Huygens suggested, instead, that light was composed of waves. Christopher Potter. You Are Here: A Portable History of the Universe. p. 113. Christian Huygens thought that invisible light was caused by the hidden movement of waves in an unseen medium of space. 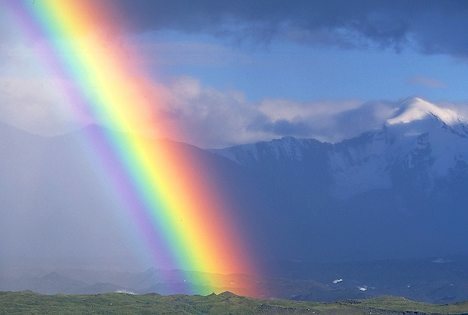 "Quantum physics changes the way we describe light, and since it is light that we use to describe reality, it also changes the way we describe reality." Christopher Potter. You Are Here: A Portable History of the Universe. p. 125. "A hot dilute gas of atoms or molecules emits light at sharply defined frequencies, . . ."
But quantum mechanics has suggested that the lightquantum is a particle that behaves like waves; light is both a wave and a particle. experiments prove that light is both. "electromagnetic radiation behaves in ways characteristic of both waves and particles." Comment: [answered December 21 '11 at 5:32 by David Z; Physics Stack Exchange. Two centuries after Huygens argued with Newton over the characteristics of light, In 1896 radiation was discovered by Henri Becquerel and explained in greater detail by Marie and Pierre Curie. 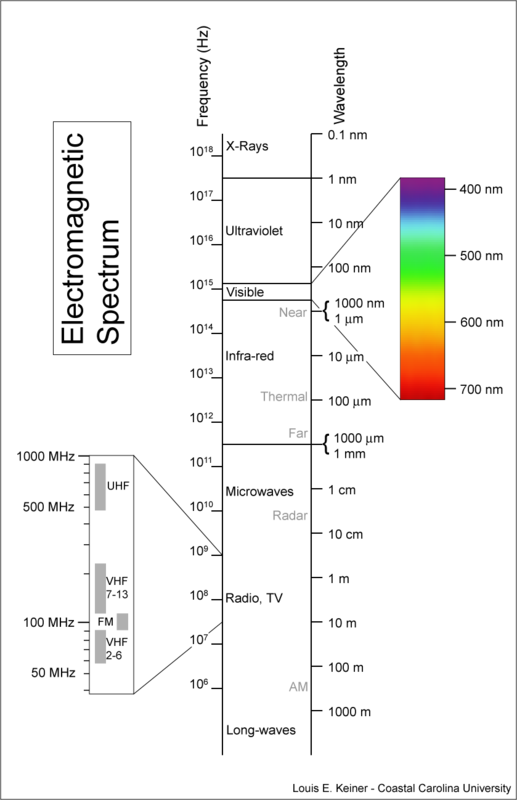 Knowing what was subsequently discovered, radiation can be thought of as weaving waves engendering the fabric of the universe because radiation is a very general form of electromagnetic waves and light is just a very small slice or sub-set of this extensive electromagnetic spectrum of radiation. 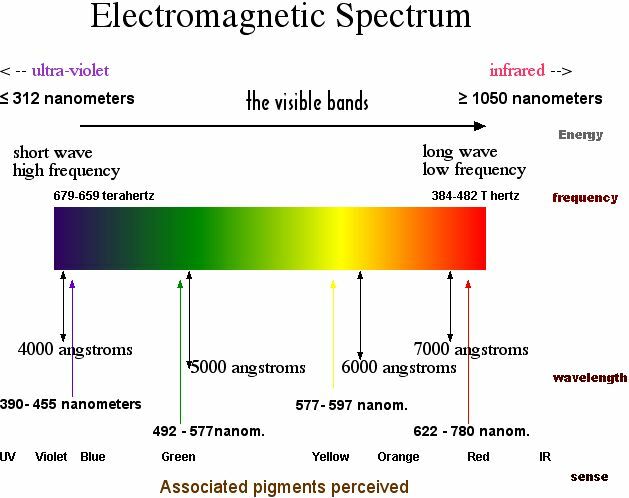 This electromagnetic spectrum distinguishes energy by measuring the frequency (Hz) of the waves of radiation representing the amount of force generated by atoms of different elements contained in compounds and molecules. The shorter the wavelength of radiation the more energy is emitted and received by contrast with longer wavelengths that emit less force. The above chart ends with lower amounts of energy. Radiant energy or light originates from atomic nuclei as energy is absorbed or released. Electrons are negatively charged sub-atomic particles with a mass of 0.00549 the atomic mass of a Neutron and similarly, but slightly less, massive Proton. 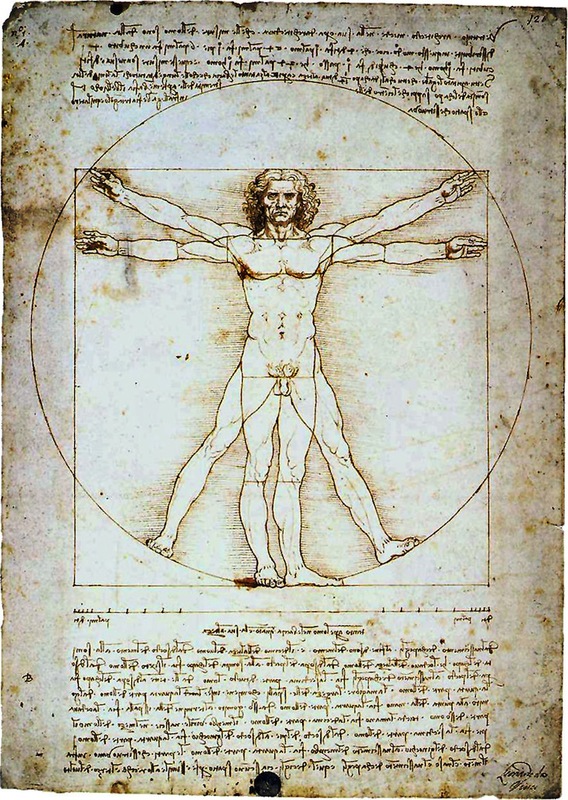 Man is not "the measure of all things," just some things. "The Discovery of Radioactivity," Lawrence Berkeley Lab. "Ernest Rutherford, who did many experiments studying the properties of radioactive decay, named these alpha, beta, and gamma particles, and classified them by their ability to penetrate matter. . . . When the air from the chamber was removed, the alpha source made a spot on the photographic plate. When air was added, the spot disappeared. 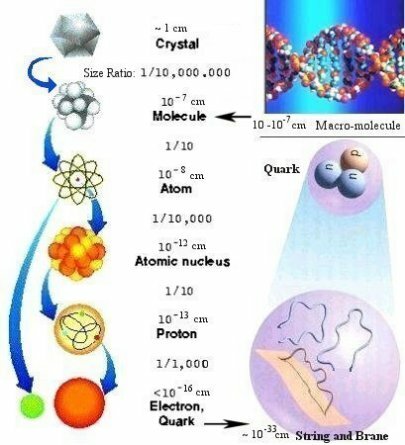 Thus, only a few centimeters of air were enough to stop the alpha radiation. . . . Because alpha particles carry more electric charge, are more massive, and move slowly compared to beta and gamma particles, they interact much more easily with matter." Beta particles are electrons and positrons . . . .& much less massive and move faster, but are still electrically charged. A sheet of aluminum one millimeter thick or several meters of air will stop beta particles. Gamma rays carry no electric charge, and can penetrate large distances through materials. 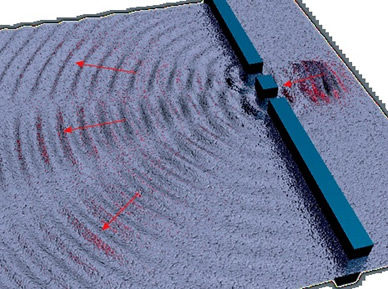 Several centimeters of lead or a meter of concrete is needed to stop most gamma rays." "The Discovery of Radioactivity" Lawrence Berkeley Laboratory, web site. University of Wisconsin, Physics Tutorial notes on light. "Electromagnetic radiation is a type of energy that is commonly known as light." Jim Al-Khalili. Quantum: A Guide for the Perplexed. London: Weidenfield & Nicolson, 2003. Stephen Hawking. The Universe in a Nutshell. New York: Random House, 2001. P. J. E. Peebles. Quantum Mechanics. Princeton, N.J.: Princeton University Press, 1980. Fitjof Capra. The Web of Life, New York: Anchor Books, 1996. Angstrom units are one ten billionth of a meter; represented as 0.1 nanometers, or the size of small atomic nuclei. Atomic nuclei range for one half to ten Angstrom Units depending on the number of protons and neutrons that comprise those atomic elements; from one proton in Hydrogen to more than 92 protons and 146 neutrons in Uranium and Plutonium or heavier elements. The Quark and the Jaguar.